When I first saw Cyber Park on the map, I immediately thought it was a high-tech park, not a nature park. But Cyber Park is a really interesting combination between high-tech and nature, as it offers free Wi-Fi throughout, a small games room, and tons of green space for kids to run around in. This park definitely seemed to be a favorite among students, as there were numerous teens and young adults hanging out or doing homework. Cyber Park is huge and free, so it is my top recommended spot to visit with a toddler in Marrakesh. Kids can feel free to run around and be loud, which is frowned upon in the other gardens around the city. If you are visiting Marrakesh with a toddler, I definitely recommend you visit Cyber Park at least once. Cyber Park is located on Arset El Bilk, just outside of the medina. 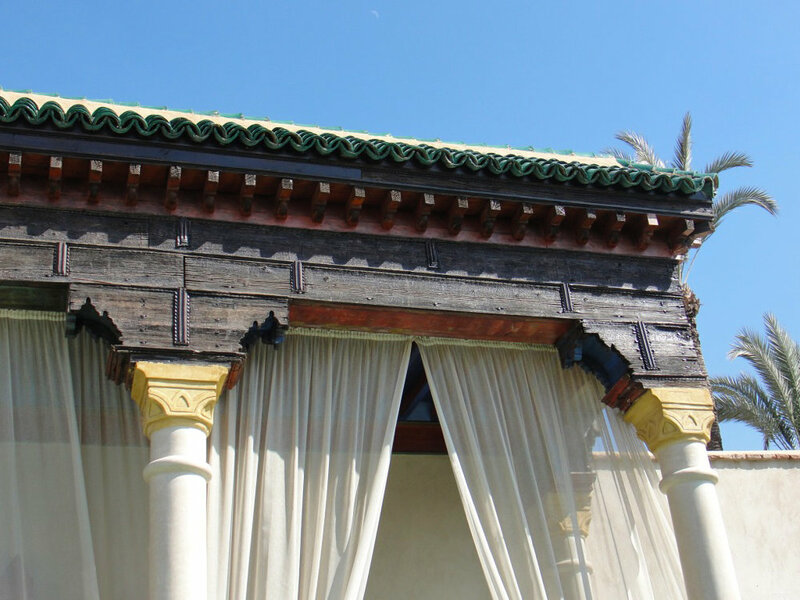 Located in the medina, Le Jardin Secret is a gorgeous garden and complex of buildings that dates back more than 400 years ago. It has stunning water features, hedges of rosemary, and absolutely beautiful Islamic architecture. I loved wandering through the gardens with Baby ISO and he was really into the fountains and flowing paths of water. The shop in Le Jardin Secret is also really lovely and has surprisingly decent prices. Le Jardin Secret is not free to enter: admission is 50 dirhams for adults (Baby ISO was free). You can learn more about the opening times and exhibits at Le Jardin Secret on their website. With its fluorescent blue mansion, Jardin Majorelle is possibly one of the most popular spots for Instagrammers and tourists visiting Marrakesh. But, the crowds and possible long lines doesn't mean you should skip it--especially when traveling with a toddler. The beautiful gardens, flowing water, and bright colors make this a fun stop for kids. You know how I mentioned long lines above? Don't worry that you'll have to wait in line with an antsy toddler. Just skip the lines by heading to the neighboring Yves St. Laurent Museum to purchase a dual ticket; the ticket line at the Yves St. Laurent Museum is much shorter. Combined tickets cost approximately 100 dirhams for adults. Baby ISO was free. I was really skeptical when a friend and numerous blogs said that the colors and sights in the souks throughout Marrakesh are great to visit with kids. But they were so right! Baby ISO was mesmerized by the shiny lanterns, colorful textiles, and fragrant spices. It made it really easy for J and I to do a bit of shopping while navigating our way to restaurants and gardens. Though I timed our visit really wrong--we planned to visit the Bahia Palace on a Friday, but the palace is closed on Fridays--a family we met at Dar El Qadi suggested this as another great place to visit with young children. The Bahia Palace is known for its beautiful Islamic architecture, bright colors, intricate designs, and its gardens complete with fountains. I know that Baby ISO would have enjoyed a visit here, though we definitely would have needed to skip the relatively spooky underground prison. This iconic pastry shop had a wonderful array of sweets, pastries, cookies, and cakes that all looked amazing. We only ordered a croissant for Baby ISO and he downed it before I even had the chance to sample a crumb. I'm actually kicking myself for not sitting in the upstairs dining area with a pot of tea and sweets. You can find Patisseries des Princes on Passage Prince Moulay Rachid and learn more on their website. 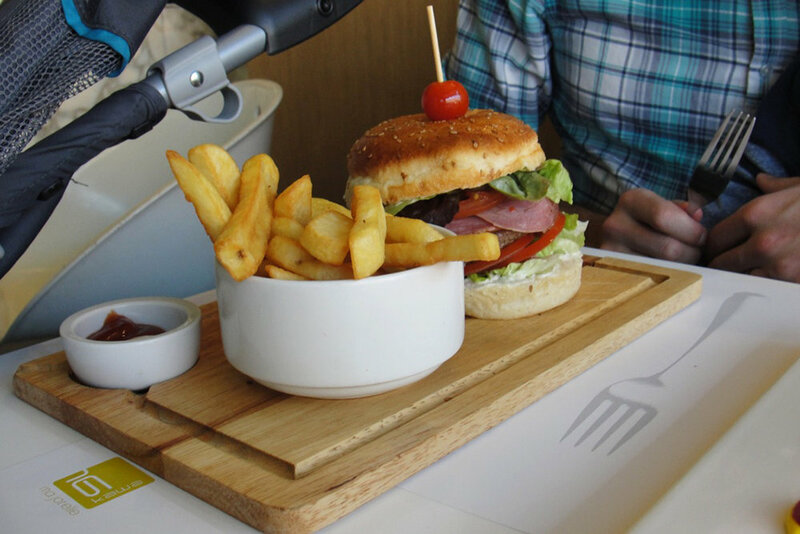 This packed restaurant had a kid-friendly menu with dishes like croique monsieur, hamburgers, homemade pasta, and sandwiches. We actually ate at the Rue Marjorelle location one day for lunch, followed by lunch at the location at Place du 16 Novembre the following day. The menus were pretty much the same at both locations and everything we ate there was delicious. 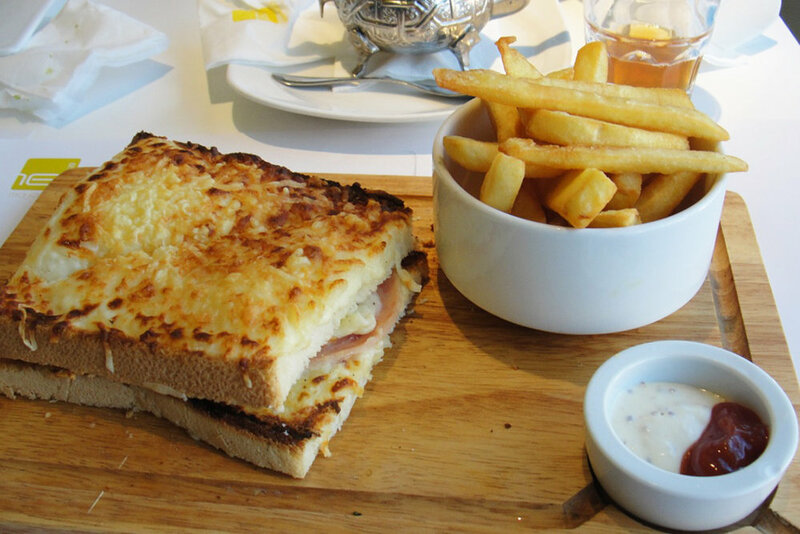 Over the course of our two meals there, we ate the ravioli, a croique monsieur, a hamburger, and a club sandwich. Totally not Moroccan food, but definitely crowd-pleasing. Baby ISO also had an ice cream cone at the Rue Marjorelle location and the Moroccan mint tea flavor he ordered was super good. The bathrooms at both locations were also decently clean and had ample space to change a diaper, though there were no changing tables. Do keep in mind that I really preferred the Rue Marjorelle location as the Place du 16 Novembre location had a smoking section and the smell wafted over to the non-smoking section. Learn more on the restaurant's website. 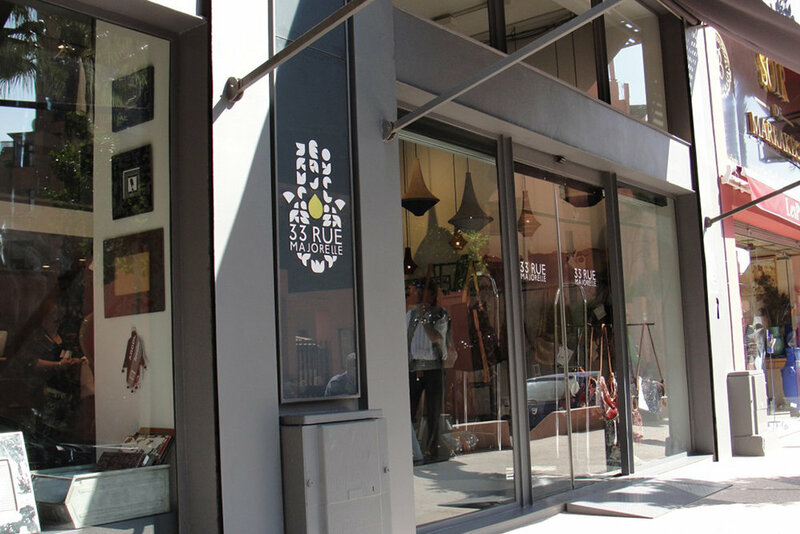 Located just across from Jardin Majorelle, Rue 33 Majorelle is a high-end shop with some gorgeous, locally made items ranging from skincare to jewelry, home decor, and clothing. Though expensive when compared with shopping at the Marrakesh's souks, Rue 33 Majorelle is definitely worth popping in, even with kids in tow. Located all the way in the back, there is a little lounge area where you can enjoy fresh juice, tea, and snacks. 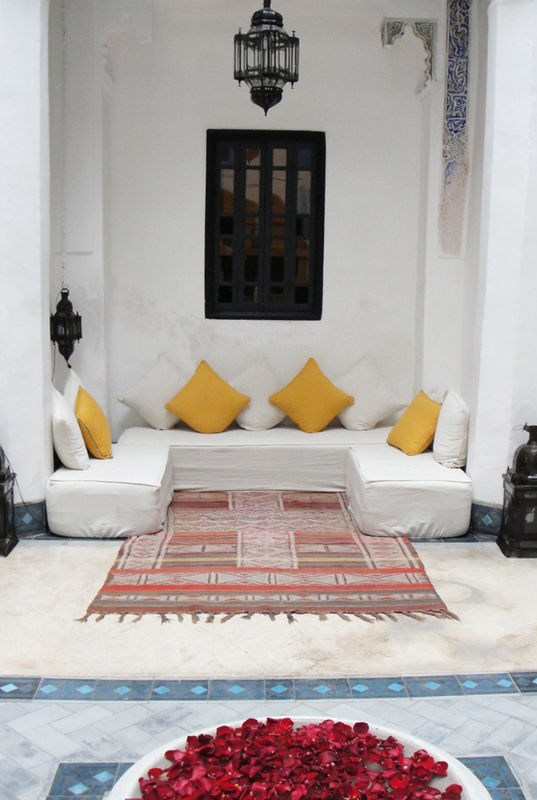 You can find Rue 33 Majorelle on 33 Rue Yves Saint Laurent, just across from Jardin Majorelle. Learn more on their Facebook Page. Obviously, I've raved enough about the welcoming, family-friendly Dar El Qadi*, so I won't belabor it here. Check out my review in this post if you need more convincing! What else do you suggest doing with toddlers or young children in Marrakesh?